Where the game is never over. 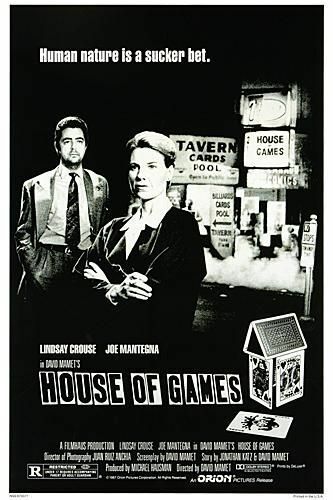 A famous psychologist, Margaret Ford, decides to try to help one of her patients get out of a gambling debt. She visits the bar where Mike, to whom the debt is owed, runs poker games. He convinces her to help him in a game: her assignment is to look for "tells", or give-away body language. What seems easy to her becomes much more complex. Neat! 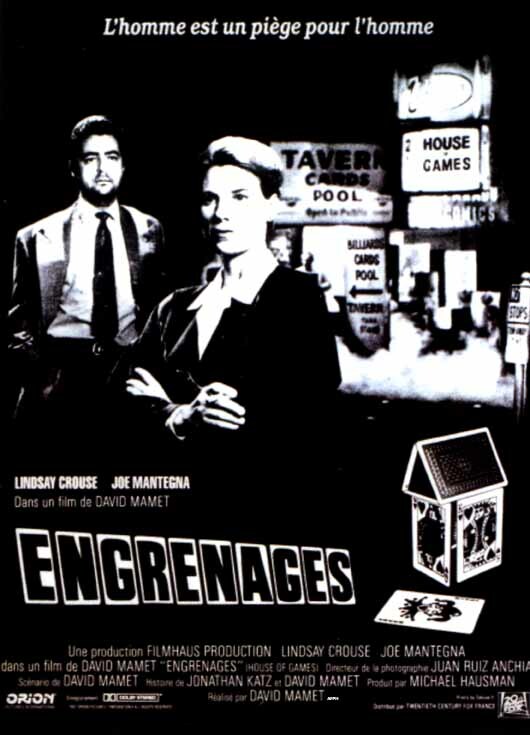 Directed by David Mamet (The Spanish Prisoner) this is a great mystery movie.Don't let anyone tell you the story.You must see it!It is a Hitchcock type of story. It is fascinating. 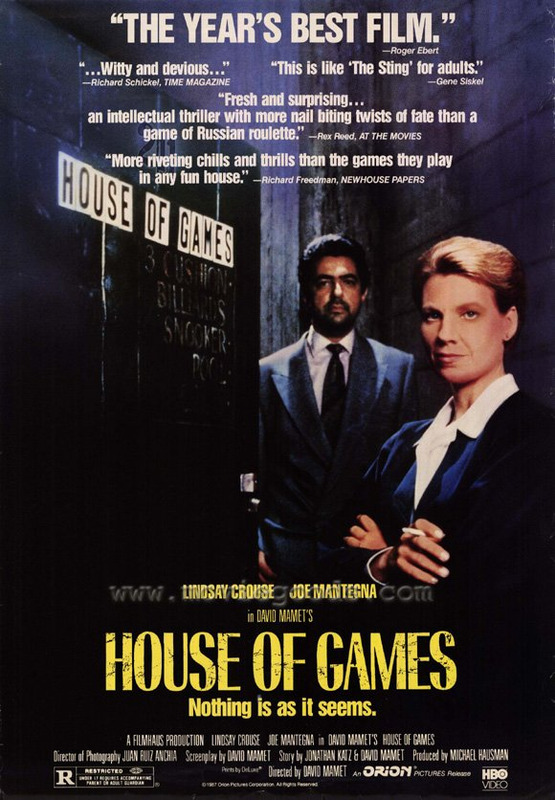 House of Games is a very tricky movie. The plot is mind boggling and it is a work of art. My favorite quotes: Mike: "You can't bluff someone who's not paying attention." Mike:" What I'm talking about comes down to a more basic philosophical principle: "Don't trust nobody." I recommend the movie.